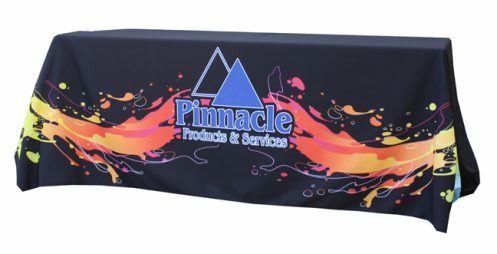 Complete your presentations with a digitally printed dye-sublimated table throw or table runner. 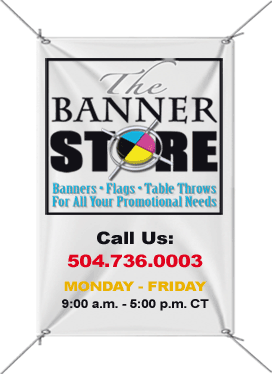 Both throws and runners are available in several sizes. 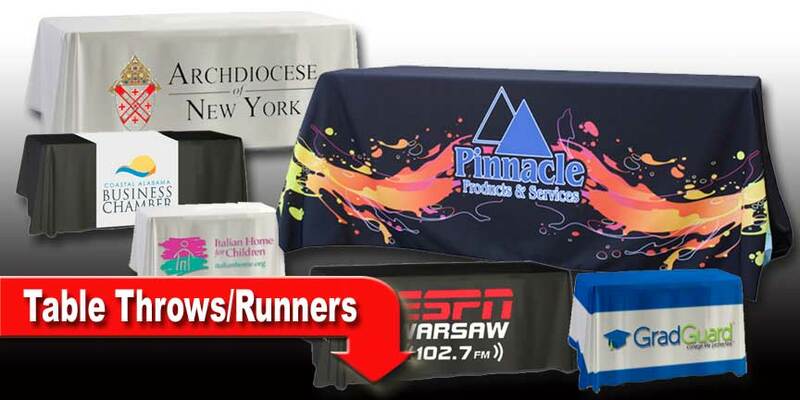 Tablecloths/Runners are fully washable premium quality polyester. Being a fabric you don’t get the glare as you would a vinyl, just the vivid colors. Material starts off white & we print to any color needed. 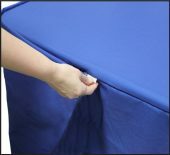 Tablecloths can either be 3 sided or 4 sided and come in 8, 6, and 4-foot table lengths. 3 sided hang down to the floor on the front and two sides with approx. 6ʺ″ in the back to allow access for chairs and/or storage. 4 sided covers all 4 sides to the floor. All the material starts off white and we print to the color you need. 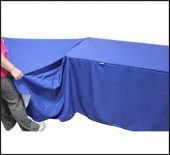 Choose from white background (logos or art can be anywhere on the throw as long as 50% or more is white then you can get the white background cost) or full/solid coverage (solid background or art filling up the throw/wrapping around). Printing is for standard size table’s 30” tall x 24” deep x 4’, 6’ or 8’ lengths. All of our fabrics are made in America and treated to meet NFPA 701 flame resistance standards. 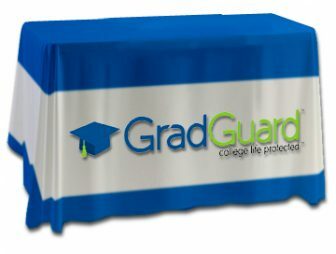 We have two options Open Back Table Runners drape over the front, top and about 6” on the back, all are 60ʺ″ long by either 24/30/60 wide they are printed full color digital dye-sublimated. Option 2 is a Full Back Runner and will go to the floor on the back.